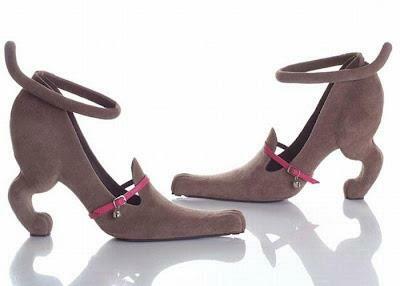 I keep coming across fun designs and oddities as I'm surfing the net, so I'm starting this thread for all the unusual, weird and unwearable heels we find. So to start it off how about these? Thought I might have to search through various Design Centres for them, expecting to find them as an exhibit? Imagine how surprised I was to find them in high street shoe shops? !! Julian Hakes Mojito shoe, at Schuh. Luckily, no UK8 in the two colour combinations I like. In another life I used to be a production welder. Not only an ugly shoe (might look better in white), but very very very poor quality workmanship. "Shoddy" comes to mind. I remember the second pair as being an Yves St. Laurent "Cage Heel" style of 2 or 3 years ago. The first pair, rather sadly, I'm quite taken with..... Any details for them? Personally I quite like these, though I am not generally a fan of "Clear" shoes.... As most of the time it just looks tacky! Doubtless waaaay outside my regular budget, but where from, and how much were they? 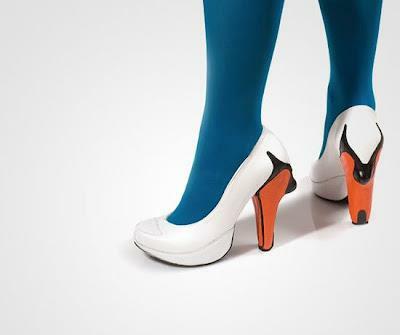 They are ok. Don't like them enough to get myself a pair. Freddy... Will you be keeping an eye out for them in the sales?? 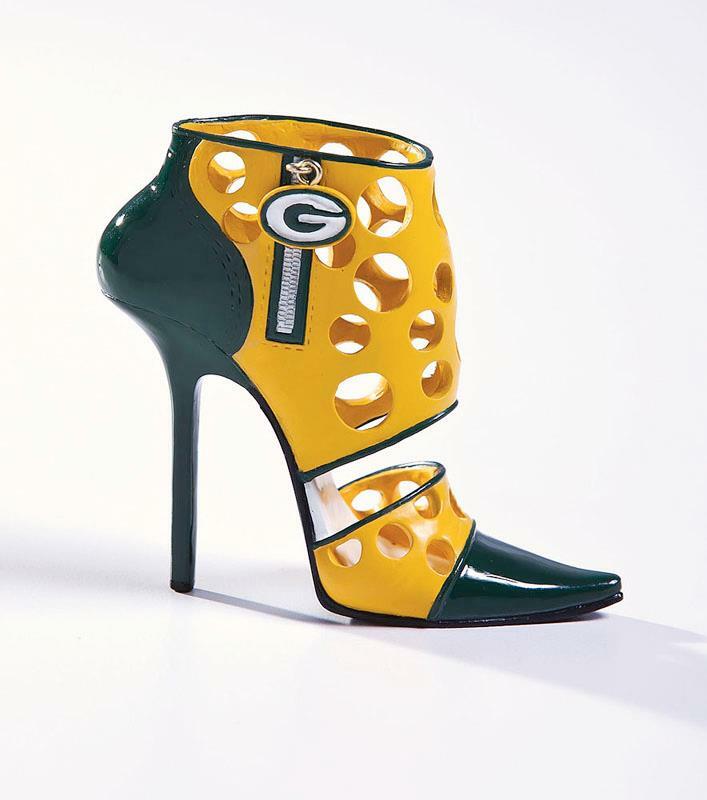 I'm never gonna own a pair, sadly. They'll likely go on sale at £75, and last knockings (last few on restricted size range), they may go for £50. I really like them, but it's bad enough having pricey boot styles I won't wear, without adding pricey courts or sandals too. I've recently added to the sandals and courts not going to be worn out [4 pairs] but none of them were more than a £5 in the sales. Thanks for the details though ..... Will add them to my watch list - when they arrive on the web site. 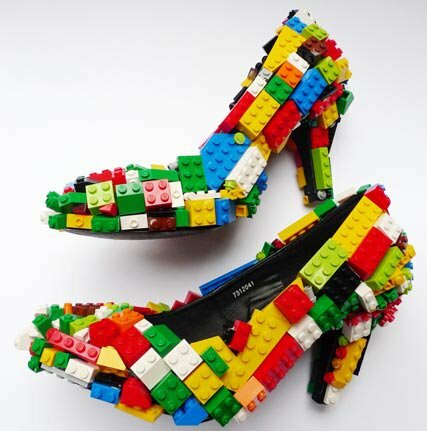 Ever tread on a piece of Lego? Strange very strange.... Would be an ideal gift for a future heeler, "Son, would you like a Lego set for Christmas?" Would be an ideal gift for a future heeler, "Son, would you like a Lego set for Christmas?" A good looking shoe 'vandalised' by graffiti ?? This is Cara Delevingne showing off her "Tasty" new heels. Are you on about the shoe or the tattoo.. Personally I really hate tattoos on womens feet, it can make an otherwise really attractive foot/shoe view look appalling. The otherwise gorgeoys Ferne Cotton has one and it reslly detracts from how good her feet would look in in the nice heels that she frequently wears. Are you on about the shoe or the tattoo. 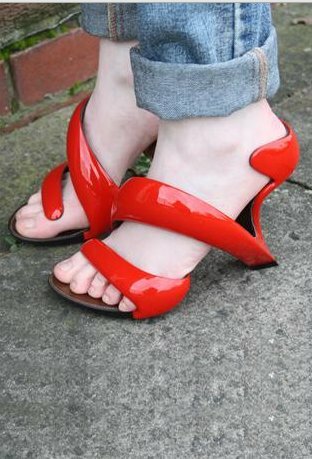 I would see both feet with little wings on each side of both heels as being attractive, maybe. Anything else is a distraction, and usually just looks a mess. If you are female you are able to adorn your feet with really nice heels, so what is the point of ruining the look with a tattoo! Agree with the tattoos on women, not a good look. Unfortunately my wife likes them and has 3 or 4. Another strange pair, I quite like the look apart from the sole (i think it is termed an "Island" platform), I really don't like those islands (I had a Next pair last year, that I only bought because they were my size with that Island sole, and they soon went back for a refund! 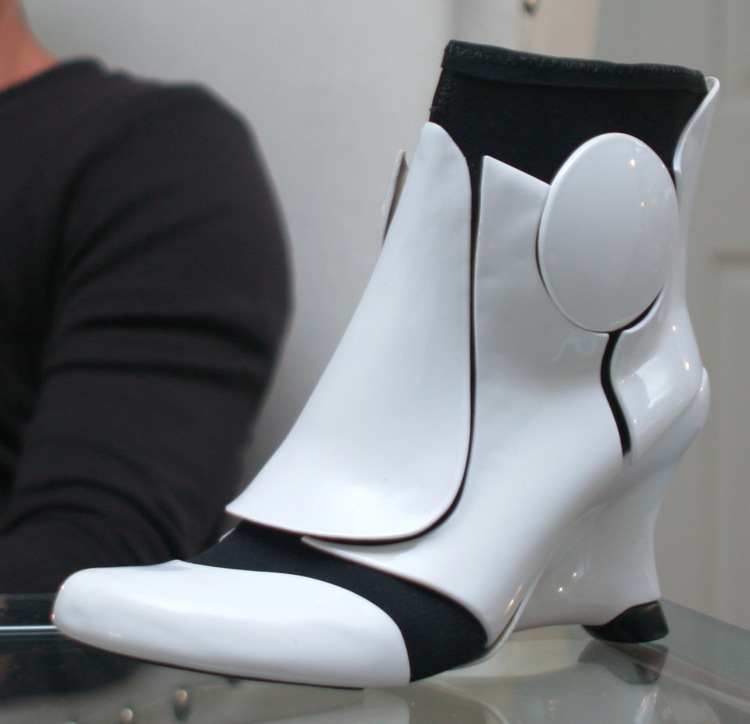 And something from the star wars designers?